Koenigsegg, not to be upstaged by the new Bugatti Chiron, has finally revealed the production version of its extremely impressive Regera with over 1,500 hp and a 0-62 time of just 2.8 seconds. Damn! The new Regera went through over 3,000 changes since the concept’s debut at last year’s Geneva. It uses what the new Bugatti doesn’t have—electric power. Koenigsegg says the Regera is world’s first 800V production car, utilizing a 4.5 kWh battery pack yet still coming in at 3,505 pounds—almost 1,000 pounds lighter than the new Chiron. 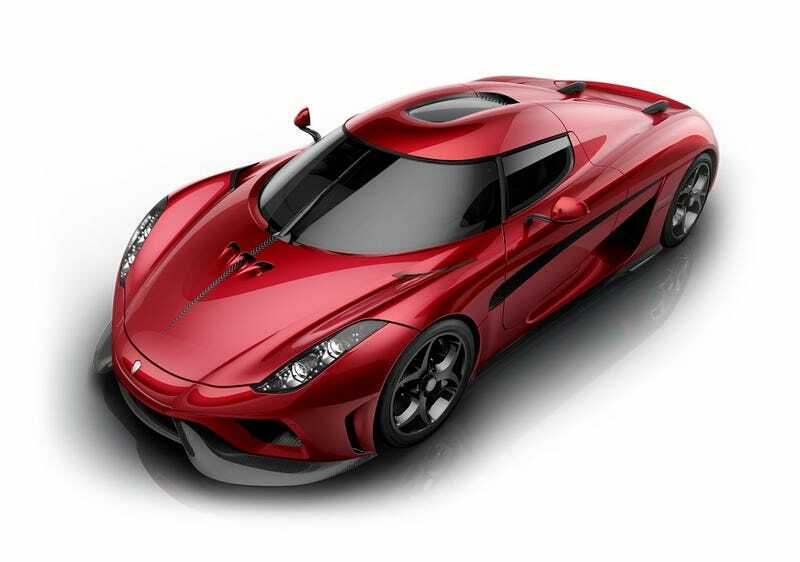 Koenigsegg isn’t being specific with the Regera’s performance figures, but assures that it has over 1,500 hp and over 1,400 lb-ft of torque, with the company claiming the car can hit almost 250 mph in just 20 seconds. It also comes standard with Apple CarPlay. The new Regera has stayed true to the lightweight and insanely fast Koenigsegg lineage, and damn if doesn’t look great doing it. We said the Regera concept was the craziest car of 2015, and I’d wager the production version will probably hold that title this year. This article originally stated this thing got to 200 mph in 6.6 seconds, which was wrong and dumb. Sorry!